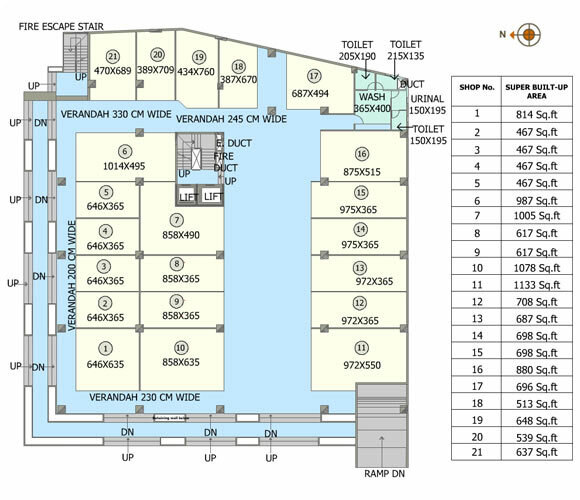 Strategically located commercial space in the business district facing the Kaloor-Kadvanthara road, equipped with all amenities to kick start a business - Remaining 1500-12500 sq.ft. available on rental basis. RCC framed structure with deep piling and a flat slab concept. 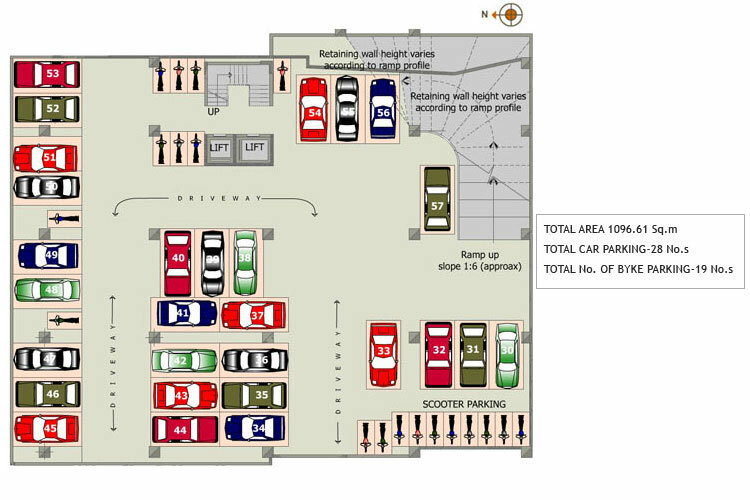 10 Floors in all, including 2 cellar floors for parking. 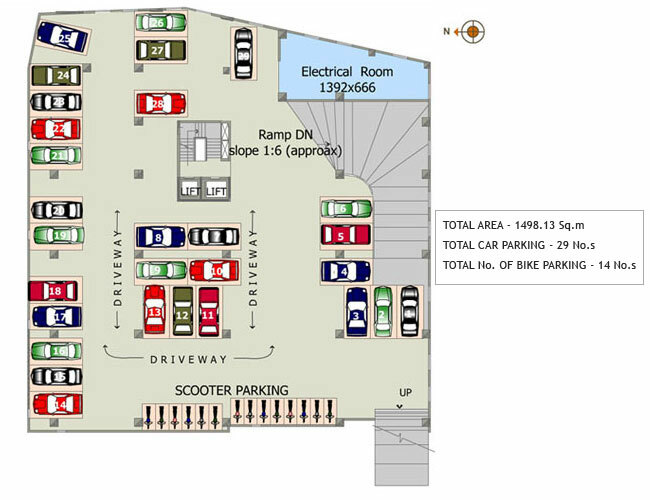 Parking Space: 60 Parking slots in the cellar floors and up to 20 car - parking slots around the building and ample parking space for two-wheelers. 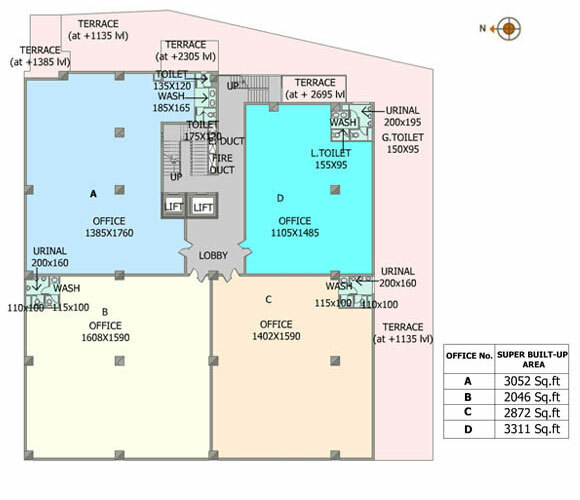 A major portion of the Ground Floor and First Floor facades have phenomenal visibility from outside, the First Floor having a height of 6 metres (This height will provide an added option of a mezzanine floor). 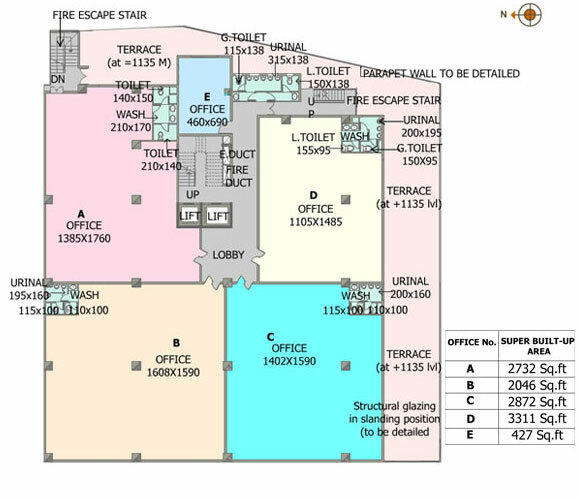 All other floors have a height of 3.75 metres. DD Trade Tower showcases the features of an intelligent building, a building without any beams. This will facilitate installation of central air-conditioning vents without compromising on height. 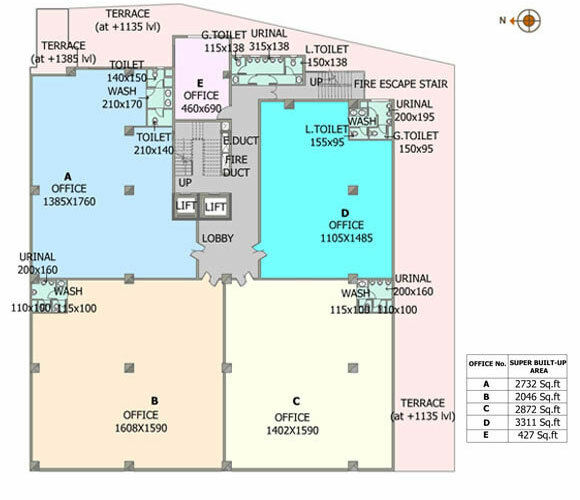 Ground Floor and First Floor have an area of approx. 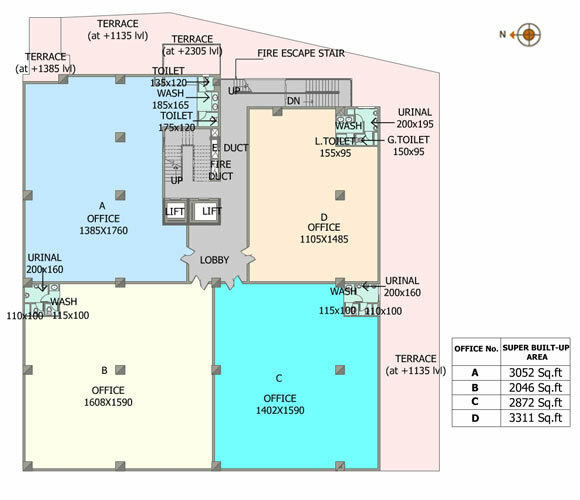 14300 sq ft and the 6 floors above them have an area of approx. 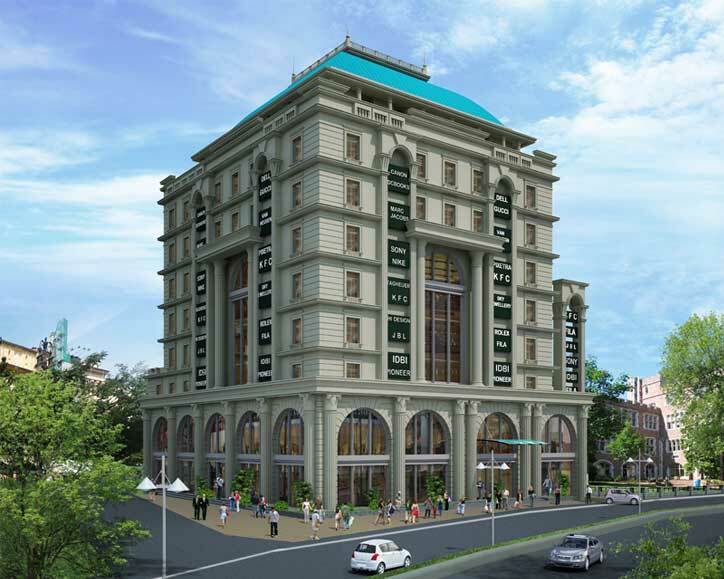 11000 sq ft with a panoramic view of Cochin skyline. The spacing between the columns has been kept quite large with a minimum distance of 8 metres. 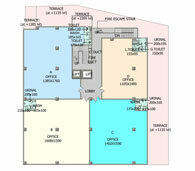 This would give a lot of flexibility with regards to interior works. 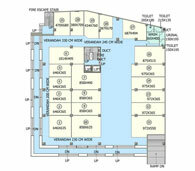 Building Floors designed to accommodate Board Rooms, Conference Halls and Office Cubicles. Flooring to consist of 2x2 vitrified tiles, except staircases which will be done up with granite or marble. The building will have a transformer of required capacity 630 KVA and an electric room for panels. Strategically located high-quality lifts of Kone or Johnson with SS interiors, one each of a capacity of eight and twelve passengers. There will be a standby generator for lifts, pumps and common lighting ( 125 KVA). 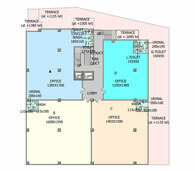 Windows and Glass Facades to let in optimum sunlight while simultaneously keeping out as much heat as possible. 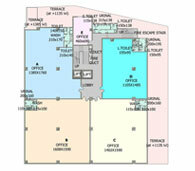 Large cut-out provided on the First Floor to aid air-circulation and let in more natural light. The railings provided along the cut-out and on staircases etc. to be a combination of mild steel for the frame and stainless steel for the handrail. 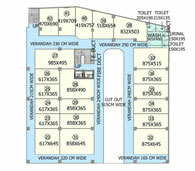 The yard will be furnished with good quality inter-locking tiles. Light fittings for the cellar, yard, staircases and common areas. 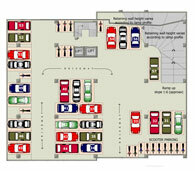 UG sumps and OH water tanks would be provided with necessary pumps. 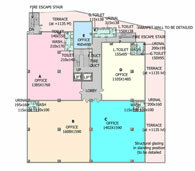 The building would strictly adhere to the latest fire safety norms and regulations. Situated on the majestic Kaloor-Kadavanthara Road, 600 metres from both Kaloor Junction and Pullepady Road, the new major arterial road nearing completion. 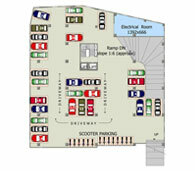 The Building stands on a crossroad with direct access to two roads passing along its boundaries. 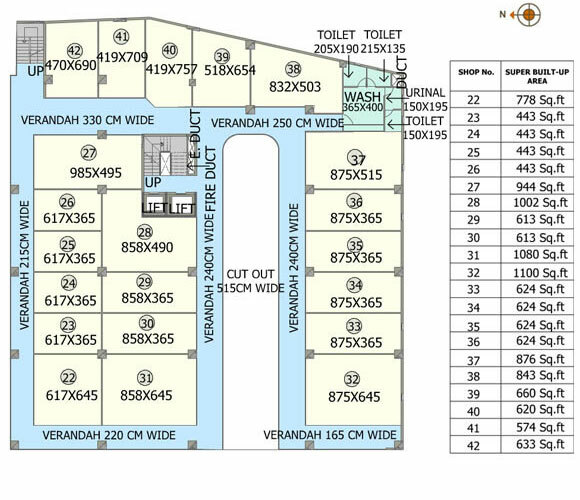 2 KMs from MG Road and 3 KMs from Marine Drive, the two commercial hubs of Cochin. 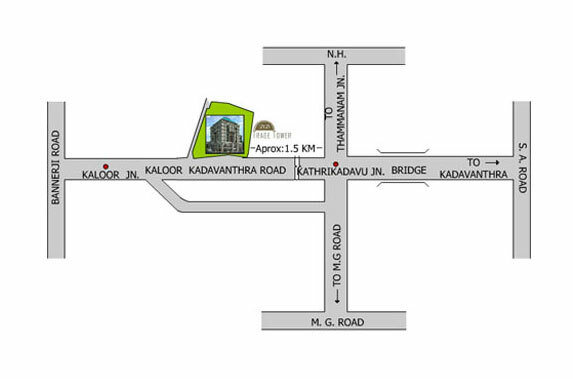 The most sought-after residential addresses of Panampilly Nagar, Girinagar, Edapally, Palarivattom are within a radius of 4 KMs from this building.